Do you want to send out the same boring graduation announcements as every other senior in your school or would you rather have something incredible, beautiful and unique? 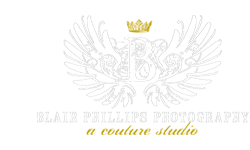 Blair Phillips Photography's seniors have the option of snagging amazing custom designed graduation announcements featuring several of their awesome senior photos. Each design is made specifically for each senior, no dublicates here! If you want hot pink with zebra stripes, you got it. Duke Blue with chevron, no problem! With several types of cards available from 1 Sided to custom shapes, we've got the perfect fit for you. To see the selection of graduation announcements, click here.